Underworld: The New Dawn – Finally, Plot Updates! There have finally been some fabulous new updates about the Underworld sequel, –and good news, apparently, it’s not a prequel. I’m sorry guys, but as much as I love werewolves, Rise of the Lycans was just… bleh. But in Underworld 4, we’re going back to the present, or actually, the future. 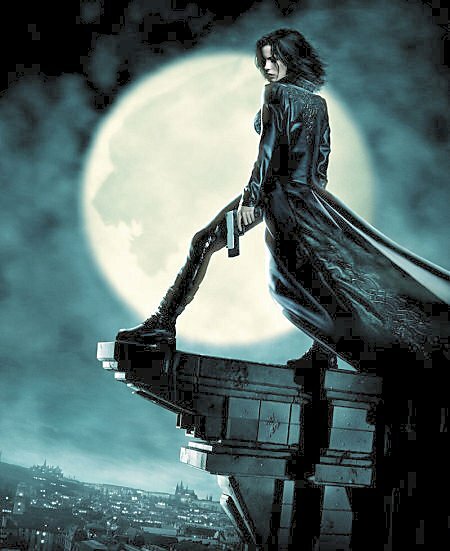 The second bit of good news, if you haven’t heard yet, Kate Beckinsale will be returning to the Underworld franchise, –which cheapens it a bit less. No word yet, on whether or not her Lycan lover, Michael Corvin, portrayed by Scott Speedman, will be returning to the cast as well. Scott Speedman is currently involved in two new films, –The Vow, and The Moth Diaries. But, don’t worry, while we may be out one werewolf hybrid, we’ll be gaining another. “THE NEW DAWN centers on the vampire Selene (Kate Beckinsale), who awakens after being in a 15 year coma. She soon discovers that she has a fourteen-year-old vampire/Lycan hybrid daughter, Nissa, and when she finds her, they must stop BioCom from creating super Lycans that will kill them all. Well, the coma thing is fairly inexplicable, but I’m sure they’ll explain it in the film. How do you have a baby then go into a coma? Huh… Well, it sounds interesting. I like the vampire/Lycan hybrid thing, should be pretty badass filling the role with a hyper-hormonal girl-child. I can’t help but tie this whole vampire baby thing in with Twilight’s Breaking Dawn though: A New Dawn/Breaking Dawn, and they both involve hybrid babies with vampire traits? Seems a little fishy. Don’t get me wrong, it doesn’t sound like a bad trend for supernatural horror-action films, I’m just a little ambiguous about whether or not I’m going to enjoy… or if horror fans, and werewolf fans will enjoy it. Oh well! We’ll see! Filming begins in March, so we can compare the two hybrid baby films when they’re released.